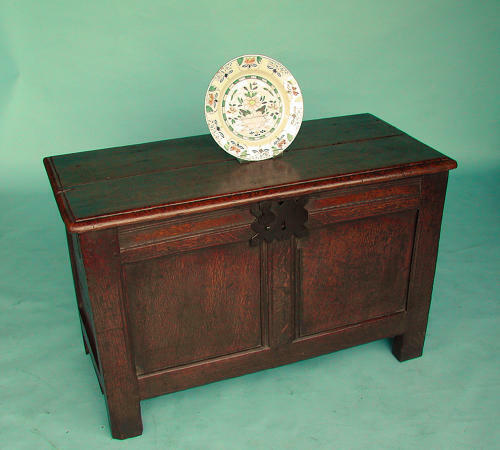 Antique Oak 17thc Joined Coffer. English. C1630-40. A good 17thc small Oak Coffer, having a two plank lid and two panels to the front, divided by the early feature of a wide flattened central muntin and a one piece plank base....it has a later lock and plate and early iron hinges....excellent colour and condition.